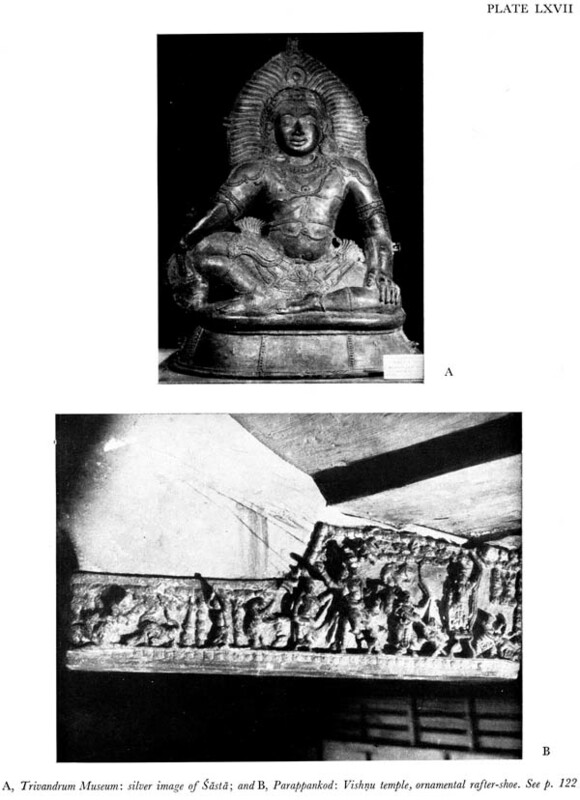 The present monograph is the second in the series of the Architectural Survey of Temples published by the Archaeological Survey of India. 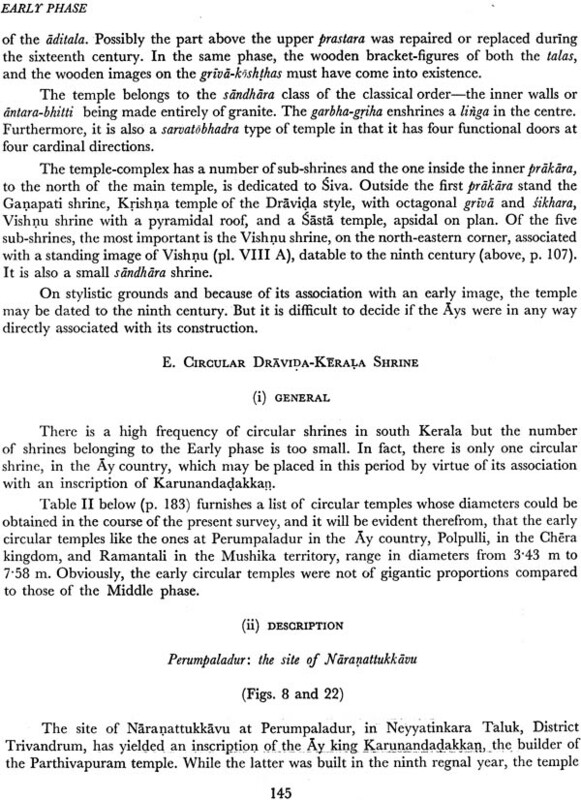 As no worthwhile survey of the Kerala temples had been conducted, taking the entire Kerala coast as a whole, the resent author was asked by the Director General, Archaeological Survey of India, in 1968, to take up a systematic study of these temples. The actual survey was carried out between the years 1968 and 1971, the results of which have now been incorporated in this publication. 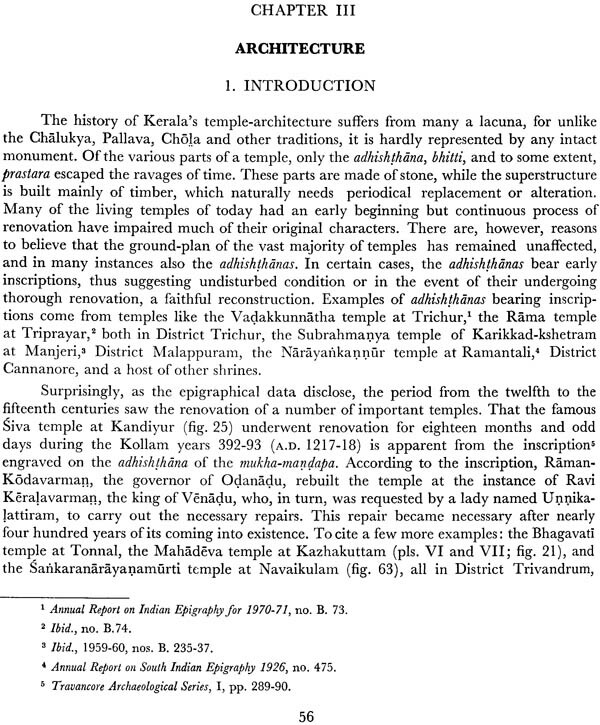 A brief summary of the history of Kerala’s temple-architecture has also been given in an earlier publication, Monuments of Kerala (New Delhi, 1973), published by the Archaeological Survey of India. 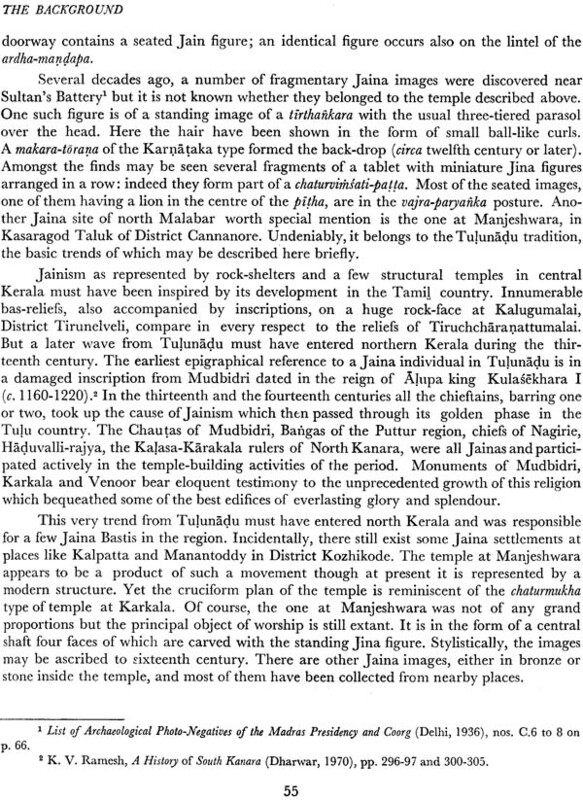 After the publication of the year wise reports on the present survey in the various issues of the Indian Archaeology—A Review, scholars have shown renewed interest in the temples of Kerala: some monographs are now being prepared, and after the present volume was sent to the press a few studies on the subject have also come out in print. 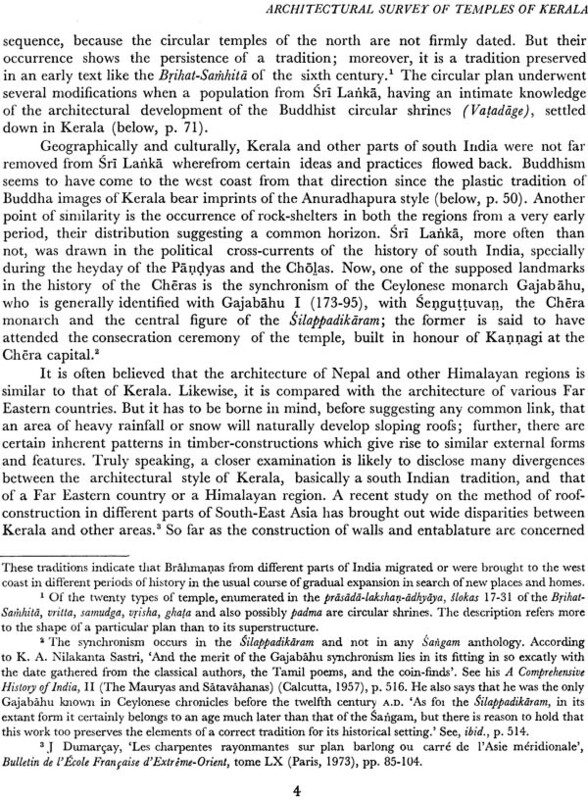 Unfortunately, all these studies centre round the architectural and sculptural aspects of temples, and those too, not based on any scientific sampling. 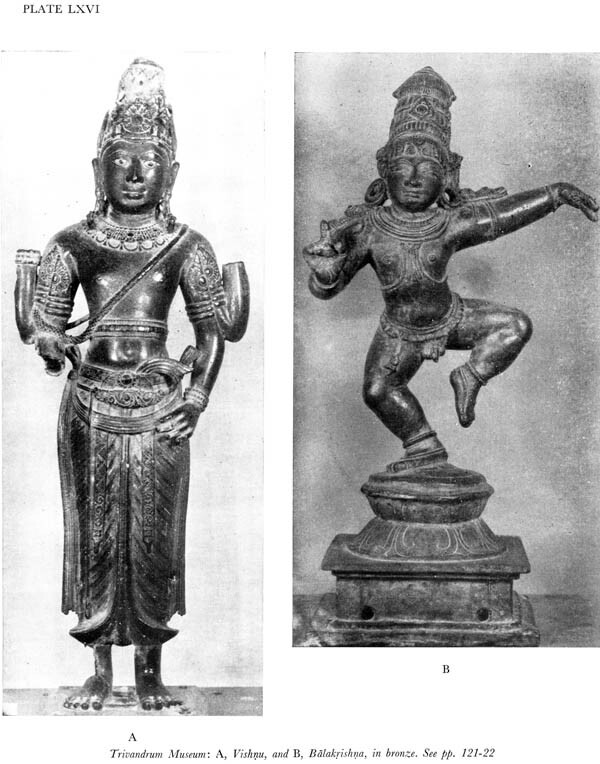 The archaeological approach has so much appeal that we hardly make an effort to unravel the forces that led to the construction of a temple or the creation of legends and myths around it. 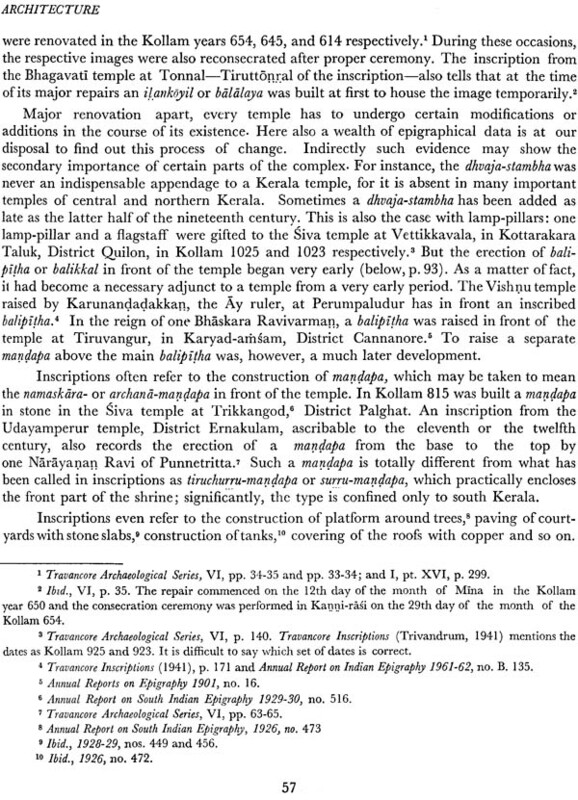 An analytical study of the mythical accounts or the sthala-pura1’zas of various temples is bound to reveal interactions of diverse social and economic forces. 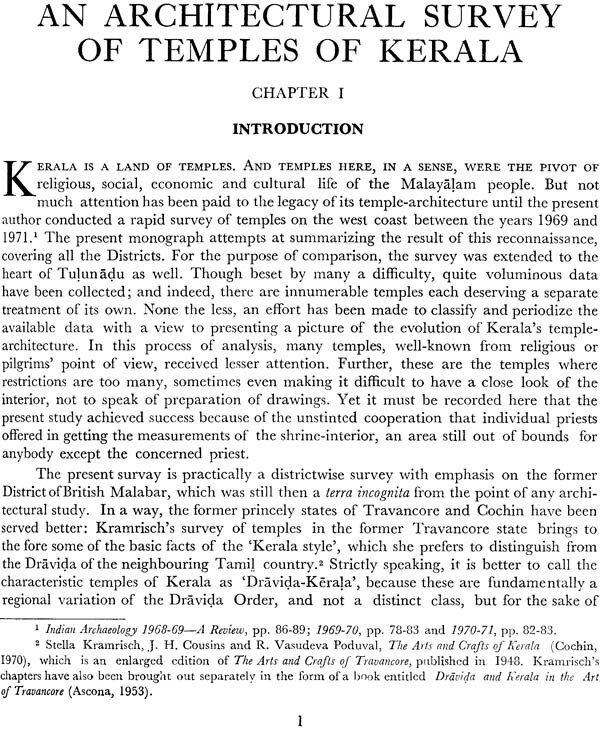 The temple-institution seems to have played an important role in the community- formation and in evolving a scheme of social stratification. 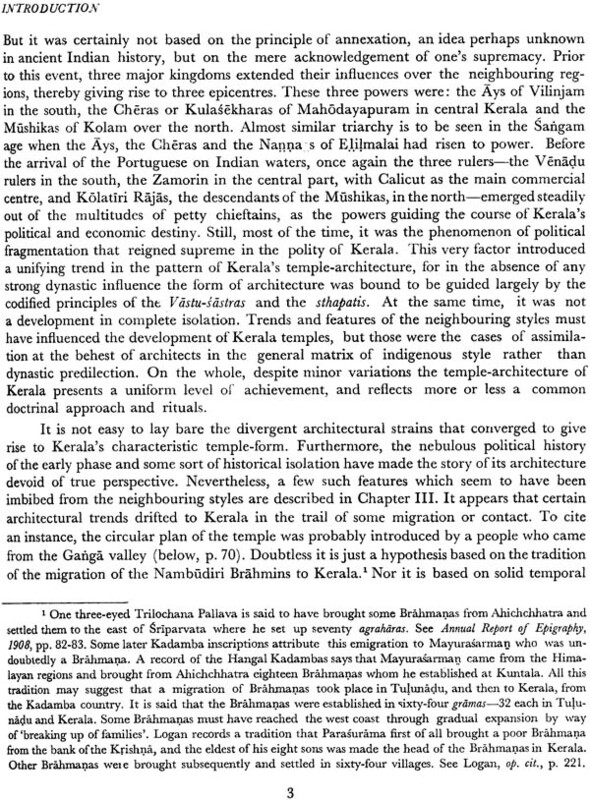 A temple being the pivot of a landed group, Kerala’s agrarian system was naturally knit closely with the institution of temples, the practice of matriarchy and the law of primogeniture amongst the privileged groups. 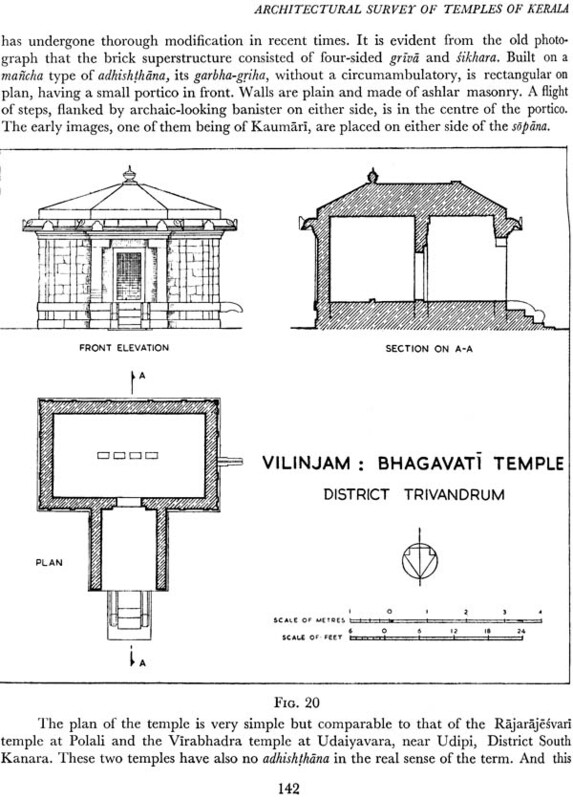 As the present survey was carried out as a part of the Archaeological Survey of India’s programme of architectural survey of temples, all these aspects do not necessarily come within the scope of the present work. 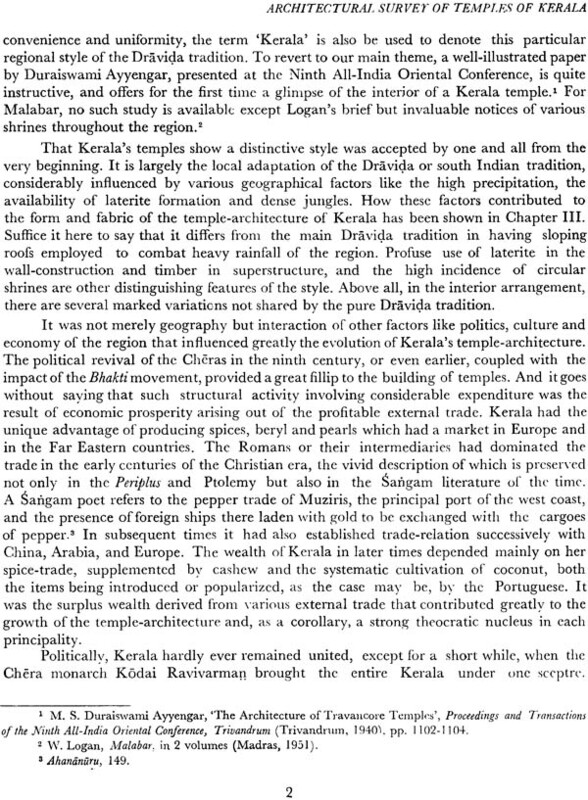 But it is hoped that future studies will make attempts at focusing more attention on these hidden strata of Kerala’s past history. 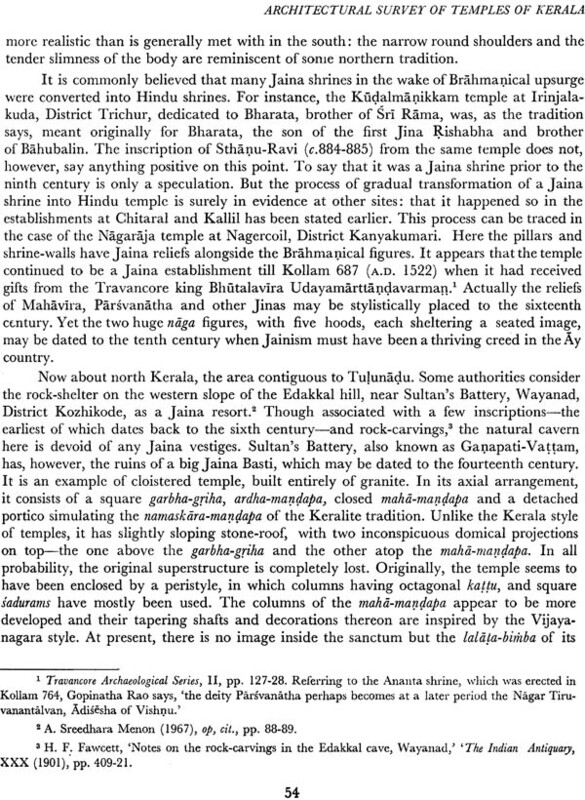 The present survey does not claim any finality; as a matter of fact, it is just a beginning for taking up intensive studies on different aspects of the temples of Kerala. 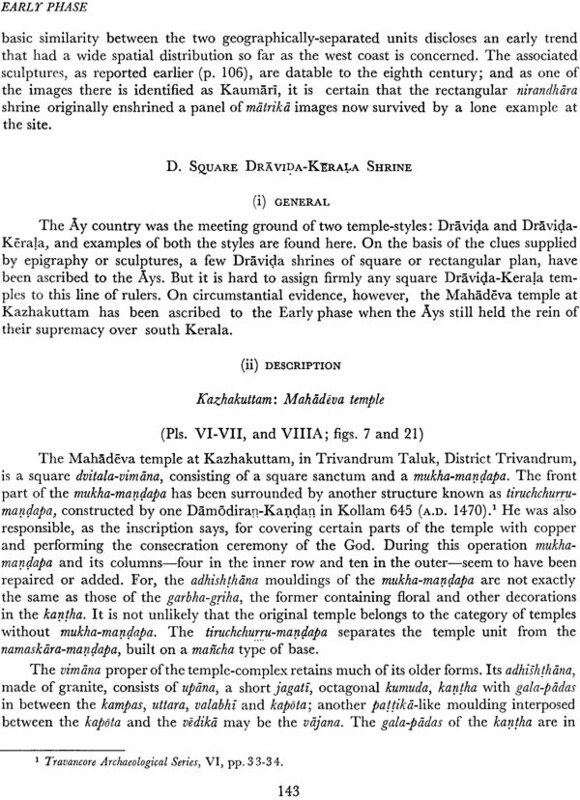 It is necessary here to record that the number of temples included for illustrating this hook is only a few compared to that actually surveyed and documented since the intention was only to include the representative types from the historical and architectural point of view. 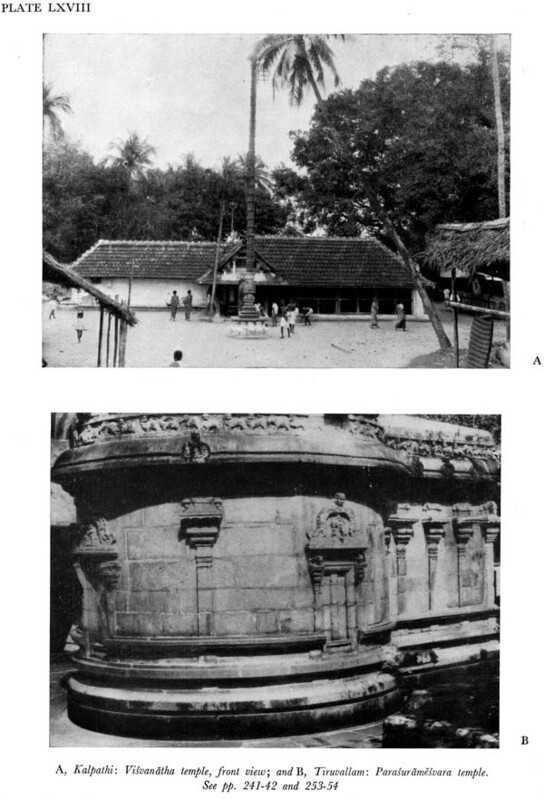 Unpublished drawings and photographs of a good number of temples are available with the office of the Temple Survey Project (Southern Region), Madras, for reference of scholars for any future wider study on the subject. It is this office whose members of the staff, both technical and ministrial, extended full cooperation in making the present survey a fruitful one. It was indeed a team-work in which every member played an important role. However, I want here to express my grateful thanks to some of the many people who helped me in the field and in the office to the Draftsmen Sarvashri A.T.P. 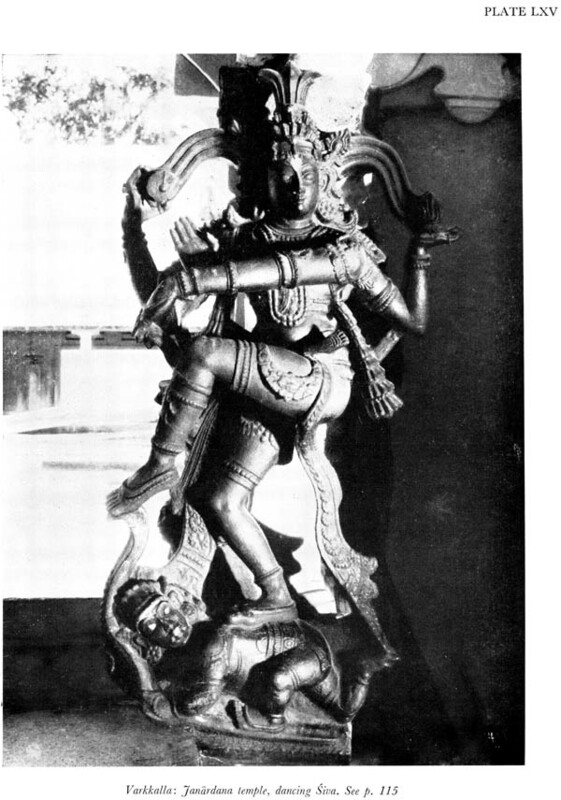 Ponnuswamy N. Selvapathy, M.S. R.K. Prasad and G. Krishnamurthy and to the Photographers Sarvashri K.S. 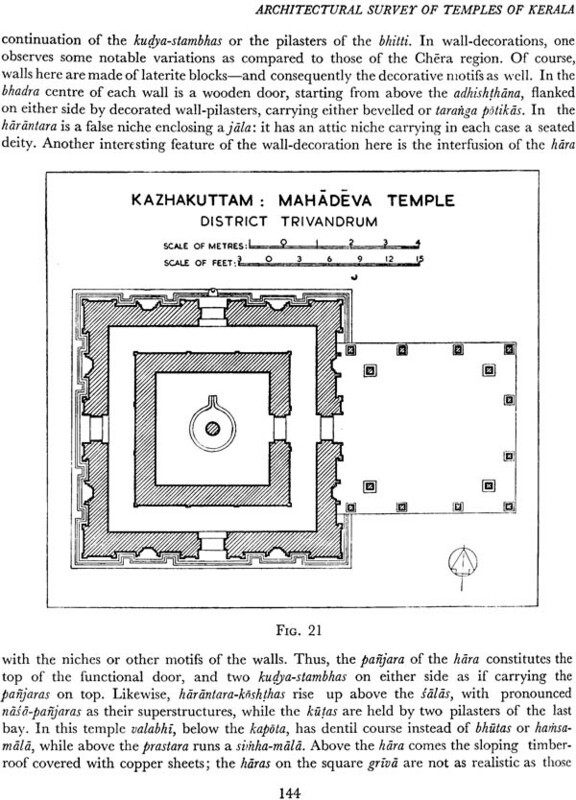 Mani and M. Thyagarajan all of the temple Survey Project Madras to Shri M.S. Mani of the Headquarters office for making the drawings ready for publication to Shri S.K. Sundara Rajan, Stenographer Temple survery project Madras fro Carrying out all typing work and his assistance in the field and to Shri B. Narasimhaiah Deputy Superintending Archaeologist Headquarters for the Preparation of the exhaustive index.